The article investigates the conditions under which the w-relativizer was appears instead of the d-relativzer das in German relative clauses. 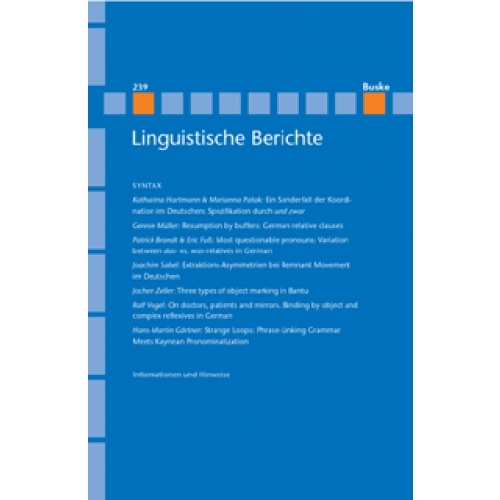 Building on Wiese 2013, we argue that was constitutes the elsewhere case that applies when identification with the antecedent cannot be established by syntactic means via upward agreement with respect to phi-features. 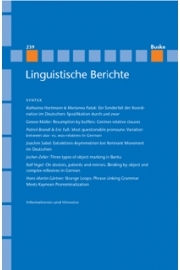 Corpuslinguistic results point to the conclusion that this is the case whenever there is no lexical nominal in the antecedent that, following Geach 1962 and Baker 2003, supplies a criterion of identity needed to establish sameness of reference between the antecedent and the relativizer.